Updated Wednesday May 24, 2017 by Alpharetta Youth Softball Association (AYSA). The 8U Attack won the 2017 West Cobb Invitational Saturday on May 20th. They went undefeated in 4 straight games to win the tournament. 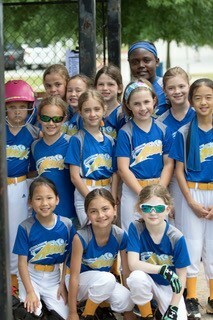 This was the first tournament of the Summer All Star season. They play next at Andee's Army tournament this weekend at NYO. We are proud of their talent, commitment to improvement and the way they represent our AYSA family and this awesome Attack program.